Coming to Barcelona with teenagers, toddlers or any other type of tearaway? Take a look at our top things to do in Barcelona for children of all ages. So you’ve decided to pay a visit to the enchanting capital of Catalonia… perhaps you fancied a nice romantic weekend away, full of fines wines, highbrow culture and zen-like tranquility? We can only imagine your horror when the children insisted on coming too! But fear not, even if you weren’t able to dissuade your little darlings from joining you (let alone convince Granny to look after the mischievous munchkins for a few days) visiting Barcelona with kids needn’t be a chore. In fact, with so many ways to entertain them, a family holiday can be even more invigorating than discovering the city with adults. …visiting Barcelona with kids needn’t be a chore. In fact, with so many ways to entertain them, a family holiday can be even more invigorating than discovering the city with adults. 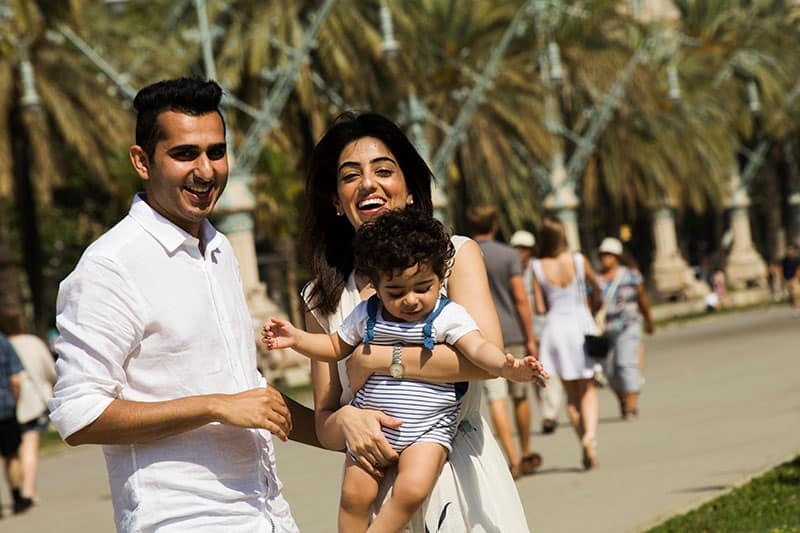 Naturally, being a big city, there will be a few challenges for those families with little ones in tow, particularly for those with very young children or toddlers. The metro is invariably crowded, as is the famous La Rambla thoroughfare, whilst the city beaches, especially Barceloneta, can be action-packed and chaotic – and naturally the sea and the scorching sun mean sensible precautions must be applied at all times! 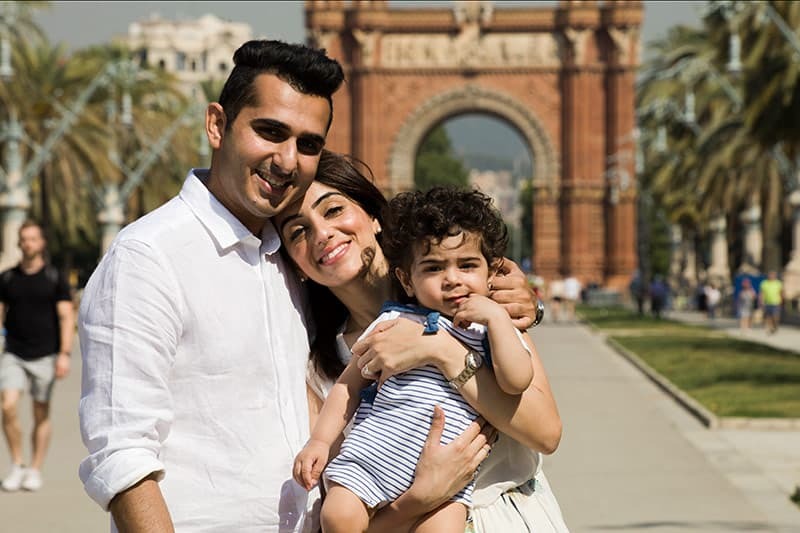 A happy family, photographed by Shutter Kings Barcelona. 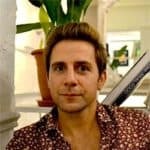 However if you opt for a hotel or apartment in a quieter area of town (for example Poblenou or Gracia), you can make keeping the kids at heel a bit easier, and on the plus side, there are literally scores of attractions that will hold the interest of even the hardest-to-please, from the surreal creations of Gaudi to full-access tours of Camp Nou (perfect for young football fans! ), and not forgetting of course a fantastic zoo and iconic attractions like the Magic Fountain (more on that below!). There are also plenty of great day trips from Barcelona suitable for families. Kids will love the wider, quieter beaches of Sitges, Tossa de Mar or Ocata, whilst Figueres up the road boasts the Dali Museum – whose twisted imagination makes him a favourite with youngsters. Hire a set of wheels and go for it. Meanwhile, overlooking the city itself is the Collserola mountain ridge, on top of which is Tibidabo amusement park… so a perfect combination of natural and man-made attractions! Read on for our top suggestions of children’s activities here in the Catalan capital, and if you haven’t booked your accommodation yet then we suggest you check out our article on choosing apartments for some family-friendly flats, or our hotels directory for an A-Z list of beds in BCN. Gaudi’s beautiful garden, above the Gracia district, has the benefit of being a bona fide unmissable attraction, whilst affording your kids room to breathe and explore, without any danger of cultural ennui (that seems to kick in whenever the word ‘museum’ is mentioned). The multi-hued lizard on the grand staircase is sure to be a crowd pleaser, whilst the architect’s love of the fantastical mean the park is sure to capture their imagination. The whole family will enjoy the vistas from the viewing terrace, and the snaking white seating decorated with colourful bits of broken pottery. Suitable for kids of all ages, our top tip is to avoid the baking midday sun in summer. You need to get tickets in advance. 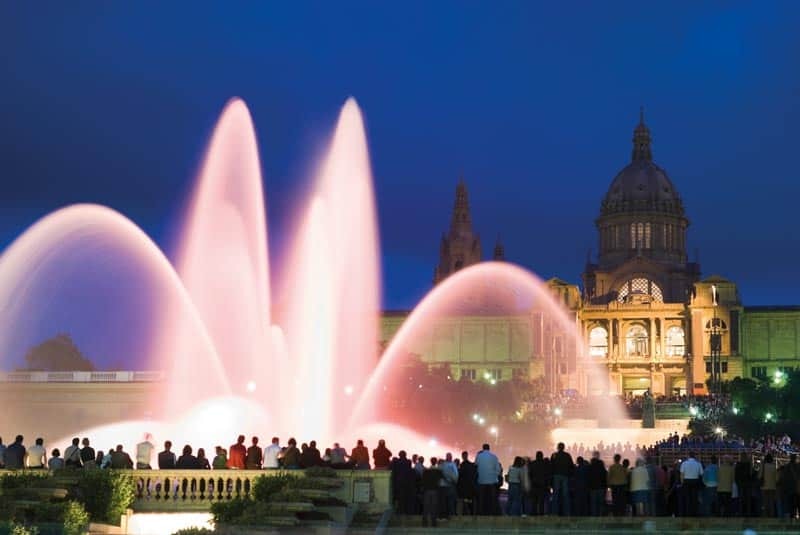 One of Barcelona’s most iconic sights, you can catch La Font Magica in action every Thursday to Sunday evening from May to September (and every Friday and Saturday for the rest of the year… click the link above for precise timetable). The fountain is capable of producing 7 billion light and water combinations and watching the plumes of water lit up in kaleidoscopic colours is well worth the metro ride out to Placa Espanya. The soundtrack varies but includes cinematic classics as well as some crowd-pleasing pop songs. 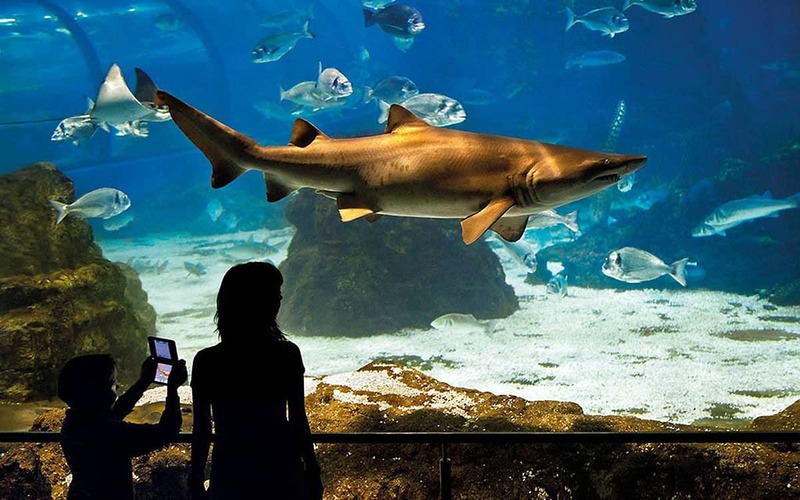 With 35 Mediterranean and tropical tanks that are home to some 11,000 animals from around 450 different species, Barcelona’s Aquarium is one of the largest of its kind. Of all the tanks, the most impressive is the enormous Oceanarium, which is 5 metres deep and 36 metres in diameter. Walk, wide-eyed underneath its 80-metre-long tunnel and marvel at the sharks, gilt heads and morays and many more species besides. The aquarium also plays the role of educational centre, and interactive exhibitions like Planeta Aqua (Water Planet) and Explora! are designed to help children (and adults!) understand the importance of water to our planet. It can get busy during peak season, so it’s best to book your tickets in advance. Poble Espanyol is a beautiful recreational space on the bottom of Montjuic (just near Placa Espanya, and the Magic Fountain), that is made up of reconstructions of Spanish architecture from every corner of this fascinating country (including the Balearic islands!). The Spanish Village was built for the 1929 International Fair and designed to showcase Spain’s diverse culture in one space. It proved so popular that instead of taking it down after the Fair was over (as was planned), they decided to keep it! 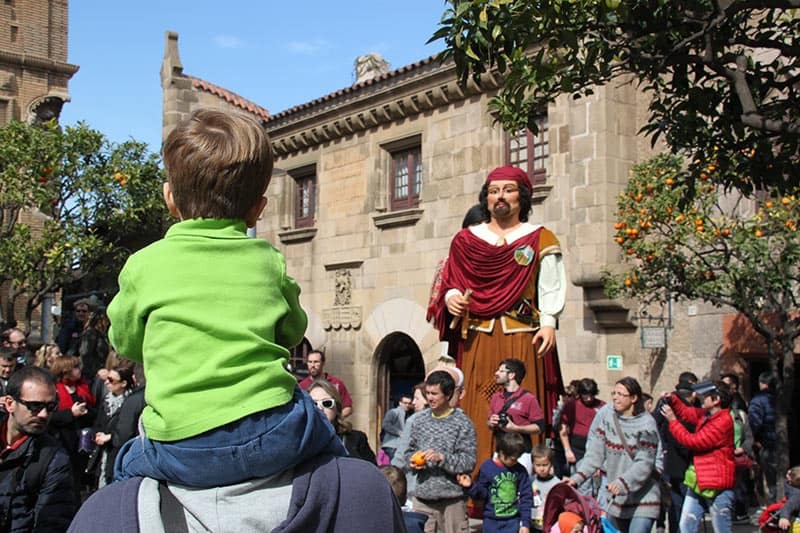 Today Poble Espanyol is a rich space full of art, events, culture, shopping and entertainment, much of it geared towards children – such as their fun ‘gymkhana’ treasure hunt. You can book your tickets here. They are cheaper if you book them in advance. Put the wow factor in your family portraits with a photo shoot in front of some of the city’s stunning architecture and iconic locations. Shutter Kings Barcelona have a small team of professional photographers that can take you to some quiet, but beautiful, corners of the city where you can capture wonderful memories that should last a life time. A two-hour, three person photoshoot is reasonably priced at €220, from which you’ll receive 30 photos. Perfect if you’ve just welcomed a new addition into the fold. Are you hoping to qualify for parent of the year award? If so then one thing that will definitely ensure you get your kids’ vote is an afternoon go-karting at the city’s best indoor track. 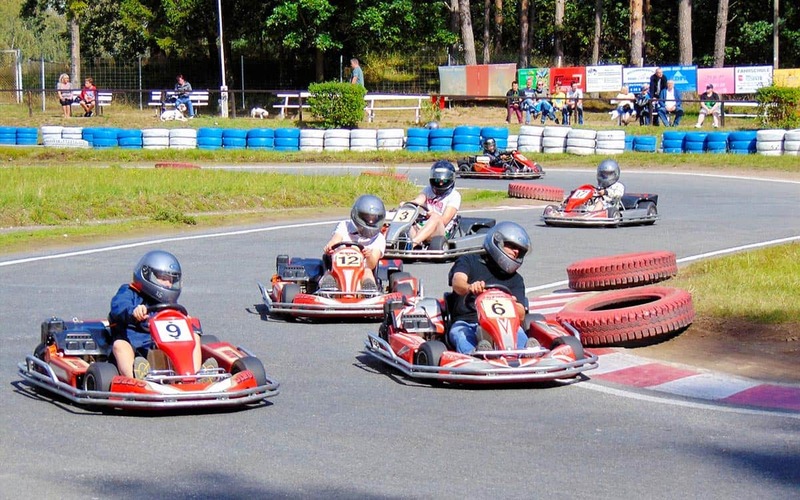 They have special karts for children over 1.3m tall which are less powerful than the adult machines, and means they can race safety and securely. Who knows maybe your little one is the next Lewis Hamilton? From toddlers to teens, nothing gets kids exciting like the chance to see the creatures of the Discovery Channel in the flesh, fur, feather or scales. 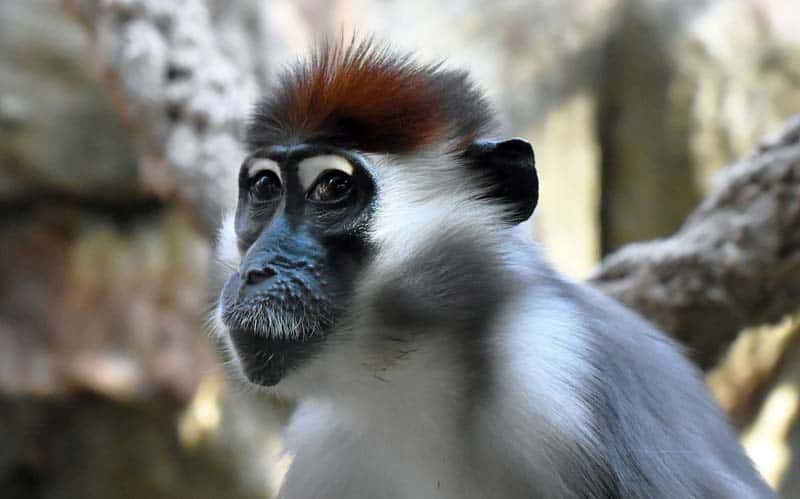 Barcelona’s Zoological Gardens are some of the best in Spain with big cats, gorillas, elephants and even a pod of acrobatic dolphins to that are sure to spark an interest in the natural world. Check out their website for more. If the little ones have done a sterling job of behaving themselves throughout your whirlwind tour of the city’s museums, then perhaps you’d like to reward them – and yourself – with some sweet treats. Barcelona has some lipsmackingly creative ice cream parlours with every flavour you could imagine for sale, from chocolate chip to lemon sorbet – and quite a few you couldn’t, like curry flavour! Click on the link above for options. 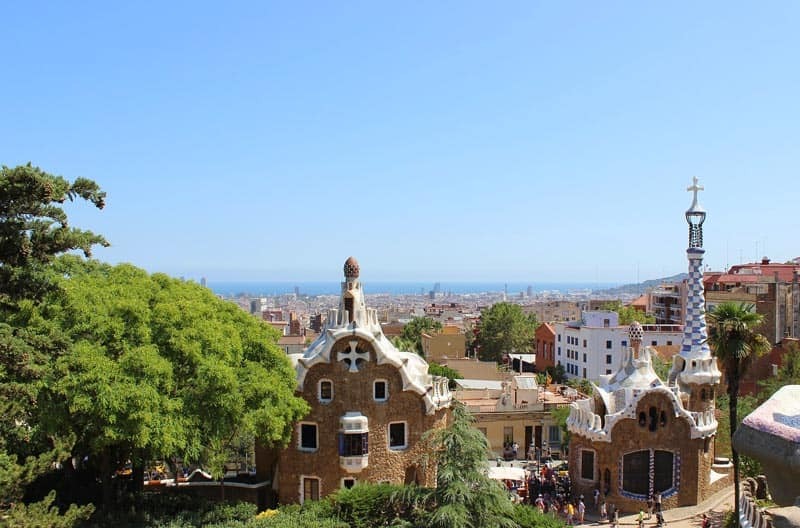 We’ve already mentioned Gaudi’s amazing Park Guell, and we wouldn’t want you to miss that. But there are many more great green spaces to discover in the city, such as Parc de la Ciutadella, which is the most central and home of the zoo (see above), a boating lake and a giant mammoth statue. For more peace and quiet and a local feel try some of the less central parks. 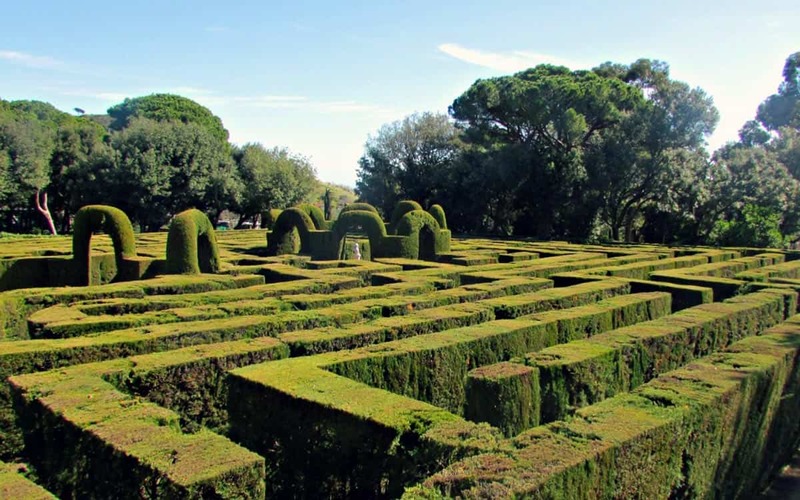 Parc del Laberint has a cool little maze that kids will love, whilst Parc Diagonal is a modern ecological space near the beach with small play area. 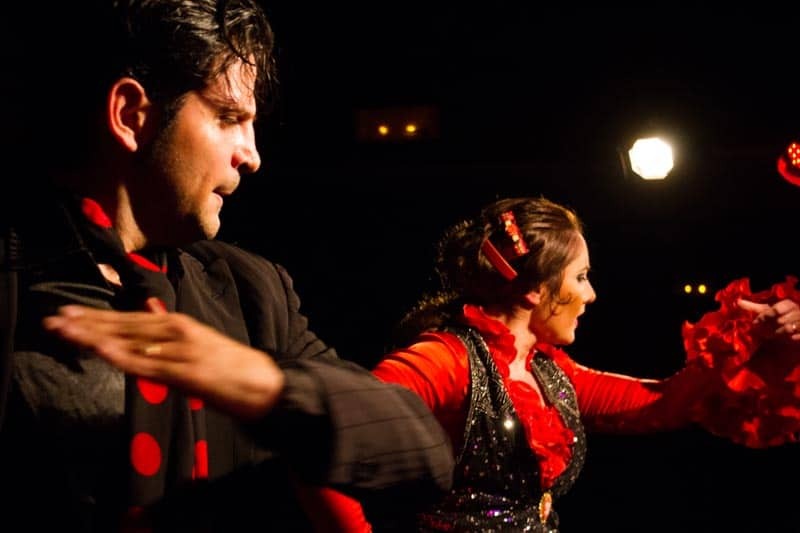 Give your progeny a taste of true Spanish tradition by taking them to see a flamenco song and dance. Loud, brash and colourful, ages of 11 and up are likely to enjoy this experience. Choose between an an hour-long show in a 1920s theatre with dinner, or a 40 minute show combined with tapas tasting. Kids love a challenge, especially one that proves how smart they are! The escape rooms trend has taken the city by storm in recent years and there are some great games to choose from, most of which are suitable for teenagers and above as they require sharp minds rather than bags of knowledge. There’s a great thrill to working in a team and getting out of the room before your 60 minutes are up, making this a highly memorable option. Check out our full article for some recommended venues. If you’re travelling with younger kids then we suggest trying Lock-Clock‘s Aztec Treasure, which has been specifically designed for ages 8 and over. Young teens will love the Harry Potter-inspired Prisoners of Alkaban, run by Maximum Escape. We’ll update this page soon with some more ideas soon. Meanwhile if you have any suggestions for what to do with the kids on vacation then please comment below… we’d love to hear from you.